As we kick off a new year, “work life balance” is likely among your intentions and resolutions. 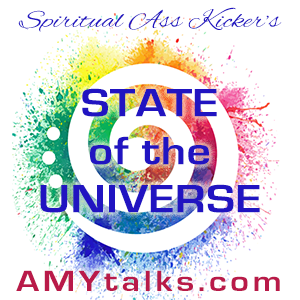 In this insightful radio interview by Michael Neeley of Consciously Speaking, Amy explains how to be happier by consciously and easily creating more balance in your life. Learn to approach balance from a mindful state and quickly recognize (and rectify!) when you’re out of balance. This original interview appeared here on Michael’s website. Are You Taking Care of Your Spiritual Hygiene? In this hilarious installment, we’ll explore “spiritual hygiene” and how you can keep yours in tip top shape. Don’t miss!